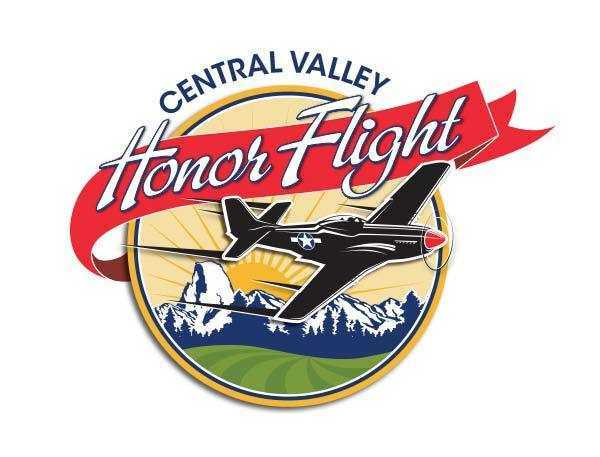 Technically, I am going to Washington, D.C. as a member of “the Media” to cover the journey of some seventy or so Central Valley World War II Veterans as they board the latest Honor Flight. The mission is, of course, to take our old and honored Vets to see the Memorial that was built long after other Wars had their Memorials and monuments, to see it at least once before they pass into history. I am supposed to bring a word picture of what goes on, the emotions and stories of those who are facing the last days and years of their own lives as they take this trip which will both honor them and provide a moment of remembrance for those who did not get the chance to see this day. So technically I am a journalist on the trip, but it’s getting harder to put myself in that mindset. I too, am an Veteran. My war has no monument, at least not one set aside specifically for it, and I don’t expect that there ever will be. There is a Navy Memorial, and there is Arlington, both of which have deep meaning to me personally. I was once stationed in the D.C. area, but it was long before the Navy Memorial was constructed. Arlington is a spiritual place, but it has never been my privilege to witness a Changing of the Guard Ceremony. To do so, standing next to some of our most precious Veterans is already deeply moving to me, long before I ever set foot on the aeroplane to go to the nations Capitol. So while I am going as a journalist, but I feel already that I am going more as a Vet. I feel somewhat guilty in that the purpose of the trip is to honor WWII Vets, which I am not, but I also note that the itinerary takes us to Vietnam, Korea, the Navy, Marine, Air Force and even the Women’s Military Service Memorials. We are going to honor these men and women, but we also go to honor all Veterans. I am a Veteran, and I can’t help but feel that I am going as a guest, not as a journalist. There will be moments on this trip that will deeply move me. I cannot imagine standing at the Navy Memorial and not thinking of my own dear friends, too many of whom have already passed into history. I will be at the World War II Memorial and think of my grandfather, who served in the US Army Air Corps during the War, and my Uncle Mick, who like me, became a sailor and served aboard Destroyers during the War. At Vietnam I will think of friends who lost fathers, brothers, cousins and friends in a war that scarred my own childhood. And at Korea, how can I not think of our own Smoking Mike, a listener who is so very proud of his Korean War Service? I have been very blessed in my life, and I consider the 11 years I served with the best our nation had to offer to be second only to my job now which is to raise my son to appreciate the history and wonder that is this nation. We were young and we had no idea of the future beyond the 80 days at a time we spent underwater sleeping between TRIDENT missiles with their lethal payloads. I often wonder what I would tell myself if I were able to travel back in time and speak to myself standing a mid-watch at the Fire Control Panel? As many thing as I might thought I wanted to have changed, the truth is that I I really wouldn’t want anything to have turned out any differently. And so I wonder what these men I will travel with would have said to themselves seventy years ago? On Monday, we will have a pre-recorded show for you (AVAILABLE HERE), as we gather very early in the morning to prepare for the flight to Washington, D.C.. On Tuesday I will check in around 3:30pm from our dinner gathering (AVAILABLE HERE), while Sheriff Adam Christianson will guest host the Show. On Wednesday Christine Papworth will be here to guest host while we fly home to what I am told is quite the welcome back for the WWII Vets. If you will permit me a moment for myself, I will be reminded of returning six times from SSBN Deterrent Patrol’s when the welcome on the pier was never for me personally. I wasn’t married, had no kids or family. But I walked off the ship to get a Coke or a burger with a feeling of accomplishment and purpose. When I walk off that plane it will be similar. The welcome won’t be “for me,” but I will have been a part of something of accomplishment and with deep purpose. To remind our special Veterans who will soon be gone, that we will never forget what they did. Posted on October 27, 2014, in News & Notes and tagged Air Force, Arlington National Cemetary, Army, Central Valley honor Flights, Honor Flight, Marines, Navy. Bookmark the permalink. Leave a comment.